Keeping a handle on your business finances has never been easier. As a premier solution provider for online accounting software, QuickBooks Online, Quickbooks Desktop, and QuickBooks Hosted Environment are all perfect for small businesses that need on-demand access to their finances. Whether you are working from home, at the office, traveling, or visiting a client site, both you and your accountant can access QuickBooks on the go whenever you need it. Many QuickBooks users have issues generating and tracking important business information simply from lack of QuickBooks experience. Resolve Works assists new QuickBooks users with membership and initial setup for your business. 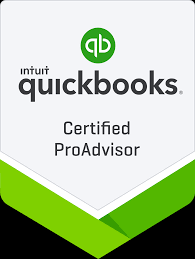 If you are an experienced QuickBooks user, we can help you more effectively utilize the software so you can manage your business. Quickbooks Online. QuickBooks Online is a cloud-based software that allows you to manage your financial data whenever and wherever. Our experts can help you get your QuickBooks Online account established, help you clean it up, or help you convert from your desktop. Quickbooks Hosted Environment. If your business has complex accounting needs, especially relating to Inventory and Financial Reporting, a QuickBooks hosted environment is a great solution for your business. And if you already have a hosted QuickBooks Desktop, we can easily access your file to support your accounting needs. Whether your QuickBooks Online account is new or established, or you are transitioning from QuickBooks desktop or another online accounting service, Resolve Works can offer both product savings and accounting support that will keep you in the green. For more information about Resolve Works’ QuickBooks support and services, contact us at (612) 293-9368. If you’re interested in our QuickBooks Membership and Hosting through Resolve Works, visit our QuickBooks Membership page for more information about the various membership options available.